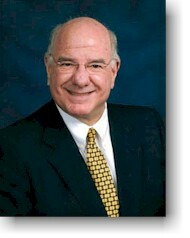 Ron Wiesenthal is the founder and owner of the St. Louis Mediation & Arbitration Center. He received a bachelors degree from the University of Texas at Austin in 1969 and his law degree from the University of Missouri-Kansas City in 1972. Ron practiced law for over thirty years, both as a partner in small and medium sized law firms and as a solo practitioner, before establishing the St. Louis Mediation & Arbitration Center. In his practice he represented individuals in personal injury, consumer, real estate and probate claims as well as Fortune 500 companies, banks, insurance companies, and smaller businesses in a variety of lawsuits and transactions. His practice consisted of trials and appeals in both state and federal courts. As a plaintiff’s lawyer he has enjoyed jury verdicts as high as ten million dollars and as a defendant’s lawyer enjoyed defense verdicts in cases involving claims for several millions of dollars. Ron's introduction to mediation came in 1991 with his graduation from the Attorney-Mediators Institute of Dallas. He is also a graduate of the A.A. White Dispute Resolution Institute at the University of Houston. He has attended and completed numerous other courses in mediation. He has mediated more than one thousand cases to a settlement. As a practicing attorney, he attended hundreds of mediations both as counsel and special counsel (solely for the mediation) to plaintiffs and defendants. Ron is licensed to practice law in Missouri, Texas and several federal district courts as well as the Fifth Circuit Court of Appeals and the United States Supreme Court. He is an approved neutral by the Missouri Supreme Court, the United States District Courts for the Eastern District of Missouri, and the American Arbitration Association. From 1982 to 2008 he was Board Certified in Real Estate Law by the Texas Board of Legal Specialization. He has authored several articles concerning mediation for bar journals and serves as a speaker on mediation for both the Missouri Bar and the Bar Association of Metropolitan St. Louis. Ron is a former Chair of the Missouri Bar Mediation Committee, the Small Business Committee of BAMSL, and the Solo and Small Firm Committee of BAMSL. He is a member of the Association of Attorney Mediators and the Association of Missouri Mediators. He has been named a Super Lawyer in Alternate Dispute Resolution. In 2011 Ron was invited to become a Charter Member of the National Academy of Distinguished Neutrals (NADN). "Ron is always first on my list of neutrals and I have routinely recommended his service to others. he has a unique litigation background that provides him with the skill to navigate and understand the interests of both corporate and individual litigants. He can speak clearly and persuasively equally to a CEO and to a blue collar worker. he is creative in crafting terms to assist resolution."